So, coming towards the end of my A-Blog-A-Day-Holiday I have covered a variety of books, many of them having a specifically educational message or purpose. So I have chosen for today’s blog post, a book which is pure, glorious, FUN! This is Mr Mustachio written by Yasmin Finch, illustrated by Abigail Tompkins and published by Maverick Arts Publishing. Mr Mustachio, as his name clearly states, has a rather superb moustache, of which he is, rightly, incredibly proud! He marches through the streets, displaying his wonderful facial hair astounding everybody. However, when he comes to a roundabout which looks incredibly exciting, he doesn’t think about the consequences and his moustache gets well and truly stuck!! 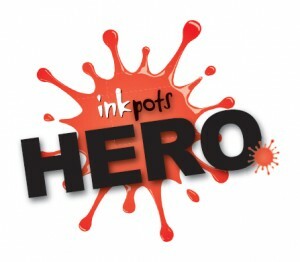 After help from various people, he is released, but at the expense of his pride and joy! Will Mr Mustachio have to come up with a new name once his moustache is gone? Or can he find a suitable replacement? When this book arrived, I sat down and read it. Then I read it again out loud. 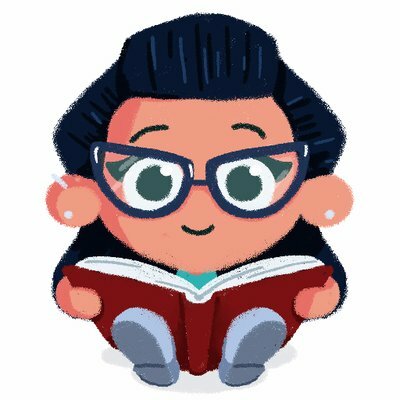 I always do this as a tester as to whether a book will make a good storytime read. Well, Mr Mustachio is pretty much perfect for this. The writing is full of expression and character, the story is just plain fun, completely ridiculous and silly. These are all the things that make up a brilliant storytime book. It’s beautifully written by Yasmin Finch, an absolute joy to read out loud. And yes, although I did say Mr Mustachio was plain fun and silliness, it does actually have an awful lot of educational value too. The vocabulary in the book is wonderful, covering so many different adjectives, it is perfect for introducing young children to describing language. The book also covers numbers towards the end, and although it doesn’t complete the sequence of numbers from one all the way to ten, a brilliant discussion and lesson would be for the children to fill in the missing numbers and make up their own additional parts of this story. At the end, you could do brilliant imagination work, with children coming up with their own ideas of what item could replace Mr Moustachio’s missing moustache . So, yes there is a huge amount of scope within this book for teachers and carers. However, it’s also a story you can just read for pure enjoyment and the giggle factor. There is certainly plenty of that! Abigail Tompkins’ illustrations are wonderful and suit this bonkers book perfectly! 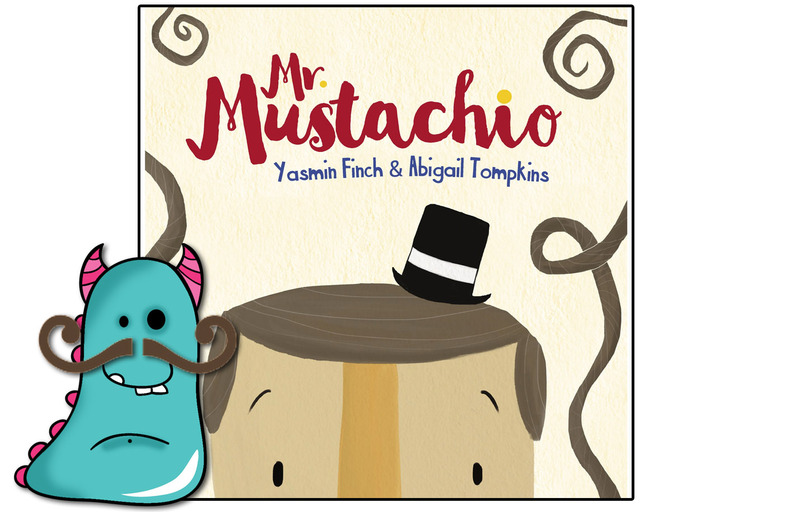 In Mr Mustachio, she has developed a quirky character, but he is absolutely lovely. It’s a fine line between quirky and scary for children, but Abigail has pitched this just right. He’s got a friendly face, and that gorgeous little teeny tiny hat that sits on his head all help to make a truly endearing picture book character. His huge curly wurly moustache, spreads across the pages like it has a mind of its own, but it’s not distracting, it’s just funny! Children will love that. I can see young children in particularly, enjoying tracing the lines of this crazy facial hair with their fingers. The colour palette is soft and gentle, reinforcing the quirky feel, and also helping to contrast the bright multi-colours in the final pages. It’s a real joy to look at and perfectly compliments Yasmin’s wonderful words. Some book reviews are easy to write, because a book is just wonderful, and Mr Mustachio is one of those. A barrel of laughs from start to finish, a brilliant read-aloud crazy and surreal adventure that children of all ages (even myself at 35) will adore. 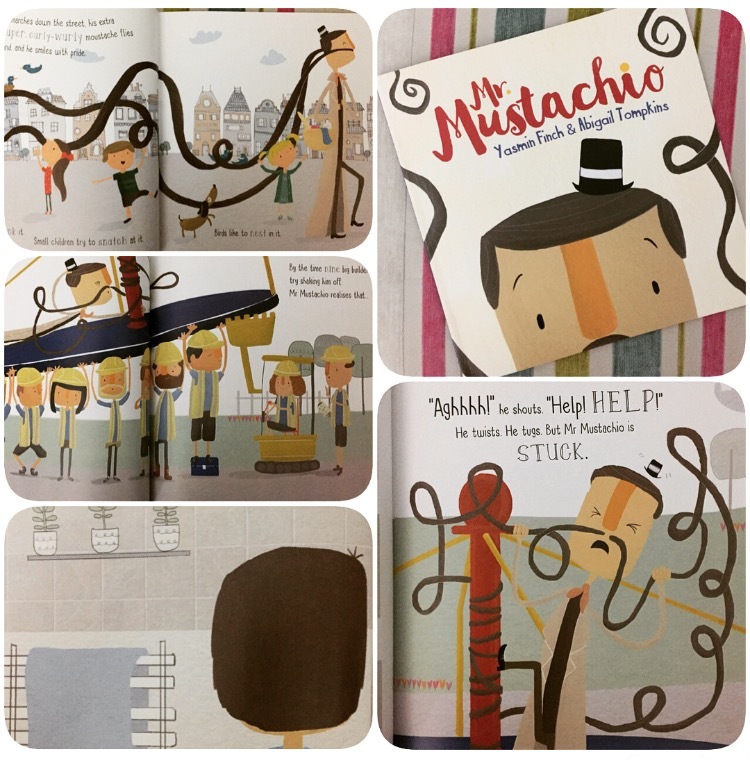 Mr Mustachio is available now from all good bookshops and libraries. Thank you for reading this hairy Book Monster review.